MainOpEdsWhat Do the Druze Want? 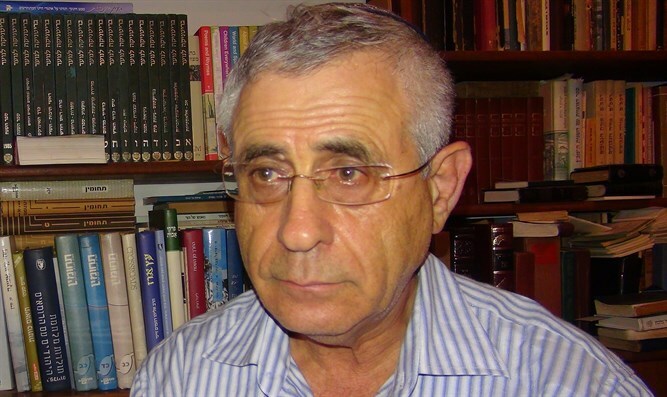 What Do the Druze Want? The situation of the Syrian Druze is so complex, that each solution seems a catch-22 situation. The fate of the Druze in Syria has been occupying the minds of Israel's decision-makers for a while now. The issue became a hot topic in the media recently as a result of several events, foremost among them the attack on an IDF ambulance bringing Syrian wounded to Israel for treatment. There were two separate incidents in which Druze young men attacked these ambulances, claiming that the wounded are Jabhat al-Nusra fighters, that is, members of an Islamist rebel organization affiliated with the Syrian al Qaeda which threatens to murder the Druze for being heretics. Israel does not officially support Jabhat al-Nusra, and the government explained that for humanitarian reasons, it treats those wounded who are brought to the border without checking their affiliations. Not all the Druze accept this explanation and have been strongly criticizing the medical care afforded rebel fighters. Israel may actually be helping the organization that most threatens Assad's regime, although it seems as though Israel would be happy to be rid of Assad, the main ally of Iran in the region, an outcome which would also significantly weaken Hezbollah. That said, attacking an ambulance carrying injured passengers is out of the pale, and these two incidents caused the leaders of Israel's Druze, including those in the Golan Heights, to meet this week to condemn the small group of hotheads who attacked the wounded men, one of whom was killed. They called on their brothers to obey the laws of Israel and under no circumstances to engage in actions that defy the law and the rules of humanitarian aid in Israel. The leaders realize that the Israeli Druze cannot fight wars that go against government policy, unless they want to find themselves in direct confrontation with the state and its institutions. The Druze are well aware that the medical care given Jabhat al-Nusra fighters allows Israel to set limits on the organization's activities and demand that it refrain from attacking the Druze in Syria. This, however, is not foolproof, because there have already been several incidents in which the rebel group attacked Druze in the Khader enclave on the slopes of the Hermon Mountains, and near Idlib in northern Syria, killing tens of them. Still, the government is paying attention to the Israeli Druze and will, perhaps, find a less obvious way to aid the Jabhat al-Nusra wounded, especially since those of them hospitalized in Israel have announced, before the cameras, that if they meet a Druze or Shiite they intend to murder him. It turns out that even receiving dedicated medical care in Israel does not affect a Jihadist's stand on heretics. What is their opinon ofJews? One can well imagine. And there are reports that the Druze are photographing the jihadists in their hospital beds so as to identify them when it is time to settle the score. The Druze in Israel fear, and rightly, for the fate of their brothers in Syria, especially in light of the world's silence as genocide is being wreaked on the Yazidis, their men butchered or forcibly converted to Islam, their daughters sold as slaves on the open market. The Druze know that their fate will be identical if Islamic State has its way. That is the reason the Druze support Assad with all their might, remaining loyal even though his power is waning everywhere. They hear the voices in Israel calling for a safe haven for Druze in Sweida, a mainly Druze city in southern Syria, and for a safe passage connecting it with Jordan or Israel. These voices worry the leaders of the Syrian Druze, because they paint a picture which makes it seem as if they are not loyal to the regime, or have become loyal to Israel. This will turn Assad's soldiers against them on the one hand, and the rebel Jihadists on the other, since neither group is particularly Zionist. "We, residents of the Sweida province, heads of civil and social organizations, intellectuals, academicians and clergymen, hereby proclaim that we depend only on our Syrian identity for protection, and that Sweida is an indivisible and inseparable part of Syria, our motherland. In addition, we reject any attempt to present us as anything but pure Syrians and we reject all the declarations made by the Zionist entity's leaders to the effect that they worry about the future of the Druze of Sweida. We see these declarations and claims as part of their plan to break up the region. We do not accept or allow this, and wish to stress that we do not need anyone else's protection. We are proud to be one of the sectors of the Syrian people, to be a group that attempts to be upstanding citizens of this country. We are proud of being Syrians, this is the only source of our security, our first and only choice." "Signed: Sweida, June 23, 2015." This manifesto, signed by Druze, Christian and Moslem leaders, was publicized by the media. On the surface, it expresses the desire to stay close to the Assad regime so as to survive the Jihadist swords, despite the dangerous proximity of these swords to Druze areas, and despite the failure of the regime to protect them. In recent weeks, several army camps in southern Syria have fallen into the hands of Jabhat al-Nusra and the Syrian army moved its heavy weaponry to the Qalamoun Mountains, abandoning the Druze to their fate. As a result one of the Druze leaders called on the Druze soldiers in Assad's army to desert with their weapons and join their families in order to protect them from both the regime and the Jihadists. Up to about two months ago, Assad's allies, the Hezbollah, guarded the Druze in the Khader enclave, but they have retreated from the area in order to join their brothers in the Qalamoun Mountains. The fact that Israel eliminated one of Hezbollah's commanders, Jihad Mughniyeh, the son of the Hezbollah operations head killed in a car-bombing, Imad Mughniyeh, along with an Iraqi general last January did not increase Hezbollah's motivation to remain and protect the Druze. All the above is discussed in the media, but behind the scenes a great drama is taking place, with the added presence of Jordan and the United States, as all those involved know exactly what may be the fate of the Druze when Assad falls. It stands to reason that the manifesto is meant to cover up a truth that is somewhat or very different from its contents, because the Druze are not sure Assad will indeed fall and perhaps they still hope the Iranians will invade Syria in order to save Assad and end the rebellion against him. It also stands to reason that this manifesto does not represent all the Druze, some of whom certainly do not support what it says. The Druze position is terribly complicated. They are torn between conflicting loyalties, afraid of all the protagonists in the conflict because they are not Moslems and because they are concentrated in three areas that it is easy to cut off by surrounding them. Willingness to accept aid from Israel will leave them open to the revenge of the regime and the Jihadists, refusal may leave them unprotected. They do not have a unified leadership capable of presenting one stand, and it is hard to believe media pronouncements made by one leader or another. The main goal of the Druze is to survive, the way they have for a thousand years in a hostile Muslim environment, but the question is how they are to go about it and what steps they should take to ensure that survival. The answers offered to that questions contradict one another, and we can only hope that the complex situation of the Druze and the splits in their ranks will not lead this remarkable ethnic group to the Jihadist knives and open marketplaces of Islamic State. Translated from Hebrew by Rochel Sylvetsky, written for Arutz Sheva.